The three volumes in the Recovering the Gospel Series represent and cover most of the essential elements of the gospel, with a special focus on those that are most neglected in contemporary Christianity. 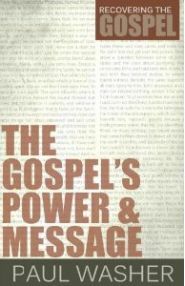 It is the hope of the author that these words might be a guide to help you rediscover the gospel in all its beauty, scandal, and saving power. It is his prayer that such a rediscovery might transform your life, strengthen your proclamation, and bring the greatest glory to God. Paul Washer ministered as a missionary in Peru for ten years, during which time he founded the HeartCry Missionary Society to support Peruvian church planters. Paul now serves as one of the laborers with the HeartCry Missionary Society. He and his wife, Charo, have three children: Ian, Evan, and Rowan. One of the greatest crimes of this generation of Christians is its neglect of the gospel. It is from this neglect that all our other maladies spring forth. Absent from too many pulpits are the essential themes which make up the very core of the gospel—the justice of God, the radical depravity of man, the blood atonement. 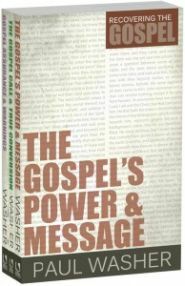 In The Gospel’s Power and Message, Paul Washer addresses these essential elements of Christ’s good news and provides a guide to help us rediscover the gospel in all its beauty, scandal, and saving power. May such a rediscovery transform your life, strengthen your proclamation, and bring the greatest glory to God. The apostle Paul gave the gospel the first place in his preaching, endeavored with all his might to proclaim it clearly, and even went so far as to pronounce a curse upon all those who would pervert its truth. Yet how sad it is that many, even among those considering themselves evangelicals, have reduced the gospel message to a few trite statements to be repeated, and view conversion as a mere human decision. In The Gospel Call and True Conversion, Paul Washer challenges such easy-believism. 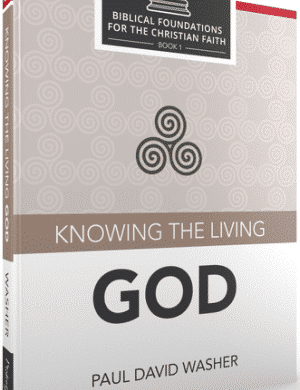 He examines the real meaning of things like faith, repentance, and receiving Christ. He also deals extensively with the effects of saving grace that God promises in the new covenant; namely, the creation of new hearts and new people. It should come as no surprise that misunderstandings about the gospel message and the nature of true conversion result in a problem with genuine assurance of salvation. A pseudo-gospel of “easy believism” has led many into careless presumption, and a poor understanding of salvation has abandoned tender consciences to near spiritual despair. 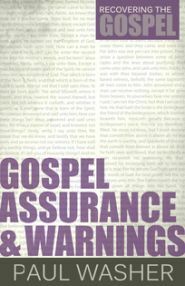 In Gospel Assurance and Warnings, Paul Washer shines the light of gospel hope as he cautions against the dangers of making an empty profession of faith and carefully explains from Scripture the basis for establishing and maintaining a sound assurance of faith. These three volumes, carefully read and applied, can helpfully equip an individual or church in Recovering the Gospel.